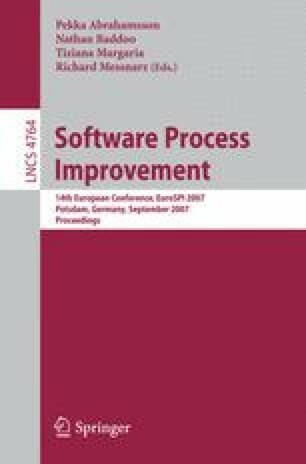 In this article, we present a categorization of CMMI Specific Practices, and use this to reanalyze prior work describing the perceived value of those practices for Small-to-Medium-sized Enterprises (SMEs), in order to better understand the software engineering practice needs of SMEs. Our categorization is based not on process areas, but on outcome areas (covering organizational, process, project, and product outcomes) and on the nature of activities leading to outcomes in those areas (covering planning, doing, checking, and improvement activities). Our reanalysis of the perceived value of Specific Practices for the CMMI Level 2 Process Areas shows that SMEs most value practices for working on project-related outcomes, and for planning and doing work on product-related outcomes. Our categorization of practices will serve as a framework for further study about CMMI and other SPI approaches.